moothies are one of my favorite things to enjoy as a pre or post-workout snack. They're easy to fill with nutritious fruits and veggies, and sometimes even a bit of extra protein. 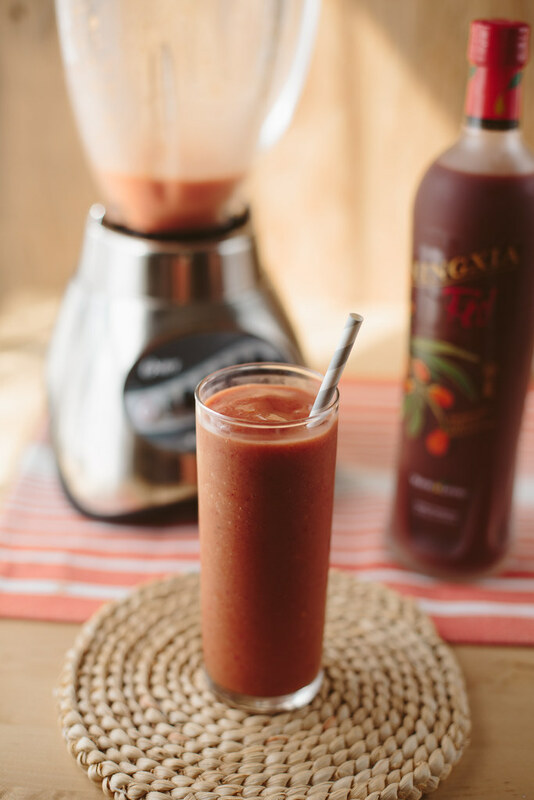 I really like drinking a bit of Ningxia Red juice before a workout to give a boost of energy, but since you're only supposed to drink 1-2 ounces twice daily, I wanted to use it as an addition to my pre-workout smoothies instead of just taking a little shot of it. 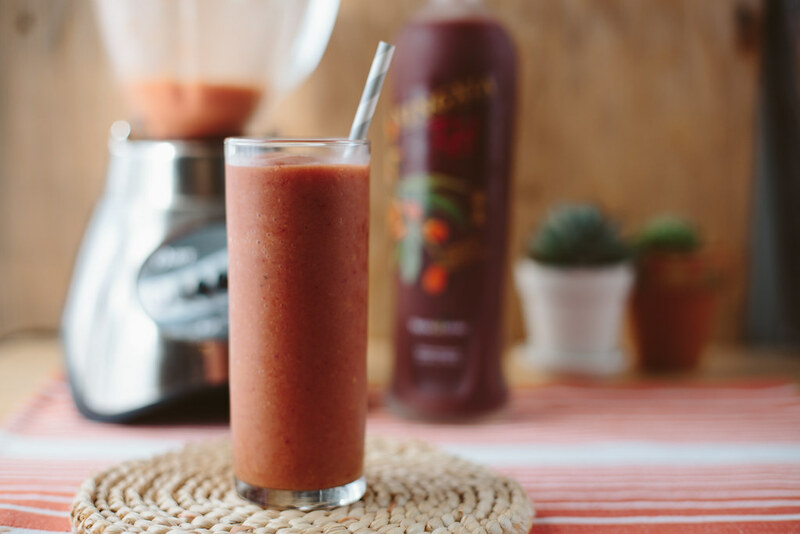 The Goji berry flavor pairs great with other fruits and it's easy to add to almost any fruit smoothie. Gogi berries contain many essential amino acids, and also have the highest concentration of protein of any fruit. They're packed with vitamin C, contain more carotenoids than any other food, are high in fiber, have tons of iron, as well as calcium, zinc, selenium and many other minerals. Ningxia Red has stevia in it, so it won't be Whole30 compliant, since stevia is a sweetener, which means I won't be using it during my Whole30. My mom is doing Whole30 with me and she just got the cookbook "Well Fed" so I'm excited to look through it and get ideas for meals! 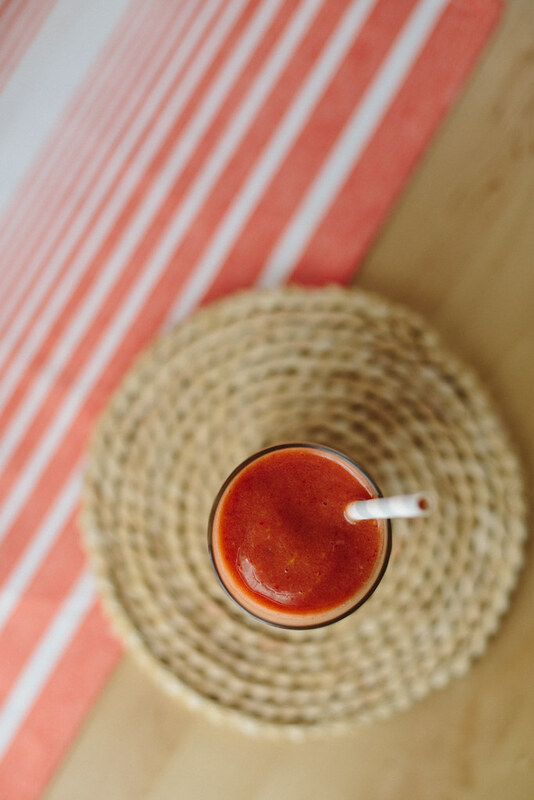 Whole30 technically doesn't advise drinking smoothies, since, even though fruit is compliant, it does have a lot of (natural) sugar and, since it's liquid, makes it harder for your body to feel full. I definitely anticipate a having a few smoothies when I'm in a pinch, though, and it's nice knowing I can throw some frozen fruit together and have a quick smoothie when I'm having a hunger emergency. 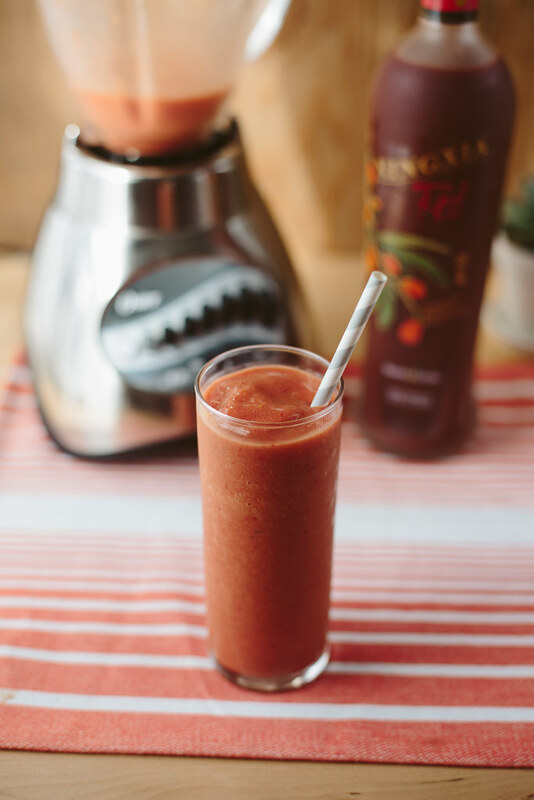 Ingredients: 2oz Ningxia Red 1 Frozen Banana 1/2 c Frozen Mango Chunks 4 Frozen Strawberries 1 c Mango Nectar/Juice Add everything to a blender and blend well!